Italy's beautiful Renaissance capital is going through a bit of a modern “rebirth” this year, as a number of Florence's most important museums have been recently renovated or expanded and are now open to the public. 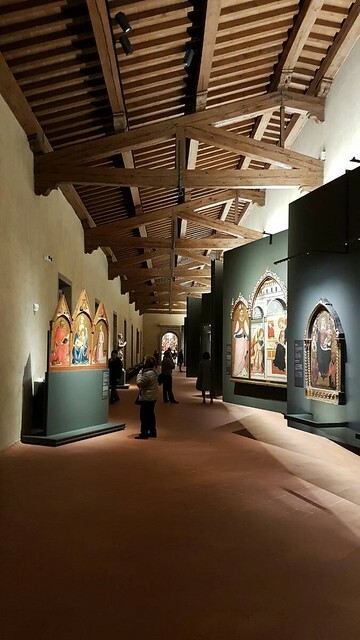 The famed Uffizi unveiled its new Botticelli rooms in October, completely reconfigured to improve the lighting and provide more space to display the early Renaissance masterpieces, marking the final stage of the renovation of the museum's entire second floor. The Museo dell'Opera del Duomo has become one of Florence's crown jewels since its inauguration at the end of 2015, with a renovation that almost doubled its previous size and includes a scale model of the cathedral’s original unfinished façade, dismantled in 1586 and featuring forty statues from the 14th and early 15th centuries. 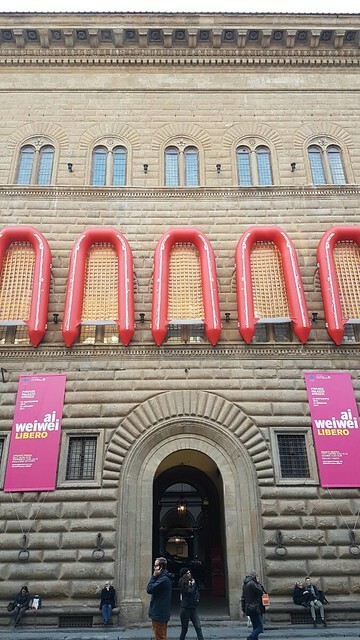 Even the stodgy Palazzo Strozzi exhibition space is hosting a collection of Chinese iconoclast Ai Weiwei's works, and making Florentine tongues wag by hanging a row of his contemporary life rafts on the outside of this landmark of Renaissance architecture. 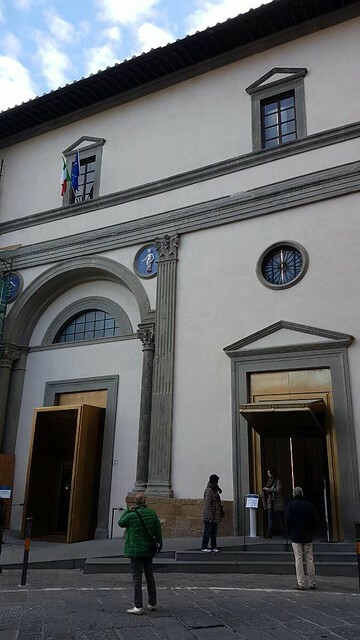 Perhaps the most moving renovation, however, is that of the historic Museo degli Innocenti, which documents the history of Florence's Istituto degli Innocenti located in the hospital designed by Filippo Brunelleschi in Piazza della Santissima Annunziata. Founded in 1419 by a donation from the wealthy merchant Francesco Datini and the Florentine Silk Workers Guild, the “Innocenti” was the world's first lay institution dedicated to taking in abandoned and orphaned children and is still providing services to families more than 600 years later. Construction of Brunelleschi's Renaissance masterpiece took up most of the 15th century, and included the elegant front portico decorated by Andrea della Robbia's ceramic “putti” depicting swaddled infants, an image which quickly became both a decorative motif and symbol of the Innocenti, and the internal “men's courtyard”, admired for its flawless symmetry and mathematical precision, and frescoed with tondi of swaddled infants and the symbol of the Silk Workers' Guild. The institute's original “rota”, or small rotating door where mothers could leave their infants anonymously any hour of day or night, was located under the portico for three hundred years until the mid-19th century, when an internal office was opened for receiving infants. The portico, courtyard, and rota are all still under scaffolding, but their renovation will be complete at the beginning of 2017. The museum is home to a small collection of around 80 Renaissance works by masters including il Ghirlandaio, Botticelli, and della Robbia, but by far the most interesting and poignant section is the garden floor, dedicated to the history of the institute and, most importantly, the thousands of children who passed through its doors over the centuries to be sent to wet nurses, educated, and later integrated into the Florentine community through apprenticeships or domestic service. The institute accepted its first baby - a girl, as was the overwhelming trend during its history - in 1445, while the building was still under construction, and continues to foster children in residential programs today. 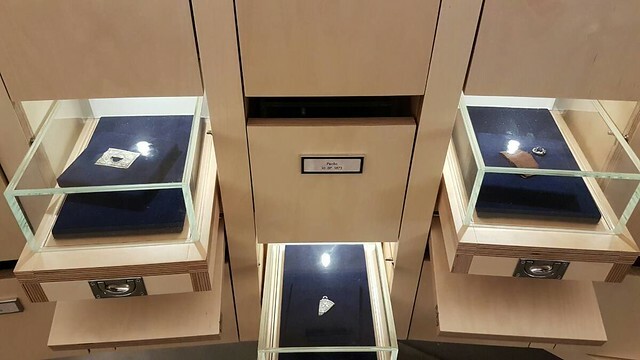 One of the most heart-wrenching exhibits is a small room lined with miniature drawers, each labelled with a name and containing a “mark”, or small object parents would leave with their infant which could be used as both a clue to the baby's origin and as a way for parents to identify their child should they ever be able to reclaim them. 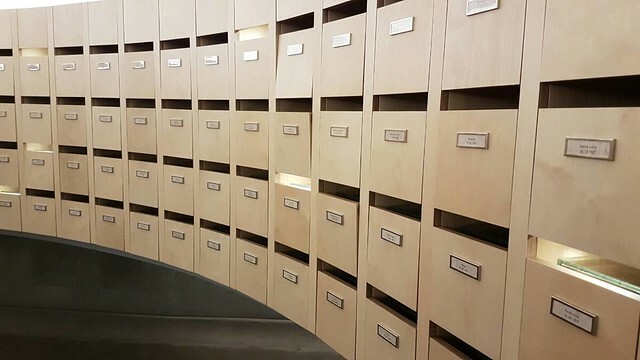 The museum archive holds thousands of marks, which range from buttons and scraps of fabric to small religious medallions or written messages, and several hundred are displayed in these simple drawers. 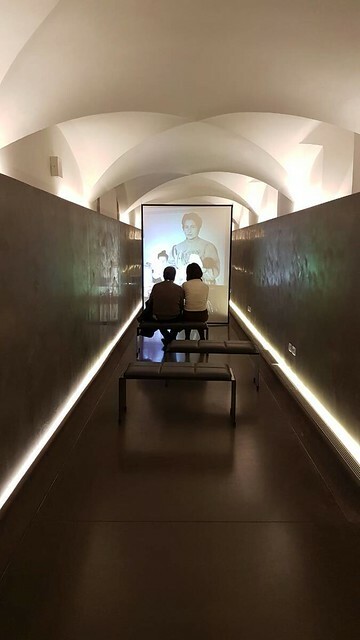 In addition, museum historians have spent decades reconstructing the lives of around 70 “innocentini”, who tell the moving stories of their childhood at the institute and their later adoption or fostering in excellent audio and video displays (subtitled in English), alongside fascinating short films about the history and development of the institute itself. Be sure to linger in this incredibly well-curated and thoughtful section before moving upstairs where the focus is on the building's architecture and top floor, housing its art collection. 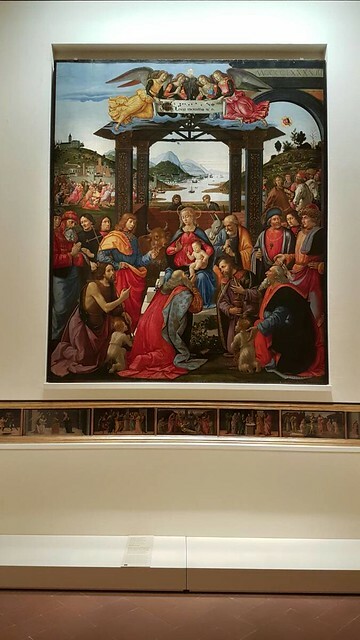 Though the Innocenti's artistic treasures are breathtaking, it is the human connection that will stay with you long after your visit. The displays are all perfectly translated into English. There is also an easily-navigated audio guide and special descriptions and audio guide explanations for children. 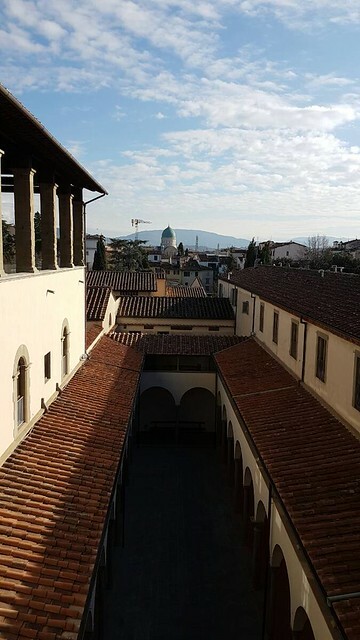 After exploring the museum, you can relax for a few minutes in the museum's gorgeous rooftop café, with outdoor patio seating and views over the rooftops of Florence and Brunelleschi's famous dome...the perfect place to reflect on Florence's rich cultural and social history, chronicled so fascinatingly through the lens of this unique and poignant museum.